The East Village is rich with cocktail heritage. 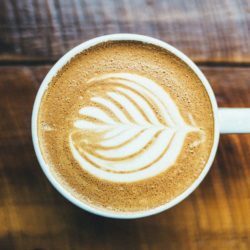 While we could write a novel on our favorite places to drink in the East Village and why (quick shout out to Mayahuel and their 100% agave mezcal and tequila program! ), this post is going to focus on one of the neighborhood’s most historic spots: William Barnacle Tavern. The venue is known for its absinthe — a high-proof grain alcohol made with anise, fennel and wormwood that has a strong black licorice essence — which they pour in the bohemian, or traditional, method. But we’ll get to that in a second. First, some history. William Barnacle Tavern was open during Prohibition (yes, people still drank during this time, despite alcohol production and sale being illegal, and a young Frank Sinatra was a waiter here). In fact, this was a favorite watering hole of notorious gangster Al Capone. The half bar you see pouring out their drinks is original, and if you sit in front of the giant wall mirror behind it you can get an idea of what it looked like during Prohibition when it was a full circle. William Barnacle & Theater 80 today. Photo courtesy of William Barnacle Tavern. Al Capone wasn’t the only gangster affiliated with the bar and, at the time, nightclub, as during Prohibition it was owned by Bavarian gangster, Frank Hoffman (and managed by William Scheib, which is why it was known as Scheib’s Place). Hoffman had made a killing (possibly literally) in illegal bars and bootlegging — $12 million! As he was pretty sure he was going to get busted for tax evasion, he decided he and his girlfriend would flee with as much money as they could stuff in their pockets without looking obvious when exiting the then-club. This came to $10 million. Well, they didn’t get very far because their body-guard shot them dead, at least that’s what people think, as he was never caught (and probably has some rich children living in Europe now). This money had been stored in a safe in the basement. Remember, there was still $2 million left. When actor and notable playwright Howard Otway purchased the building from Scheib and began re-designing the building to add on a theater, he discovered the safe. Too nervous to open it alone, he called Scheib for assistance. Scheib took the money — believing he deserved it since it had been his bar first — and moved to Miami to open hotels. As Otway didn’t feel like getting his kneecaps broken by a thug he relented, left with just the building and the mortgage. Luckily, the venue’s quality off-broadway theater, Theater 80, has helped put them on the map. Today they host a number of satirical and nostalgic performances, from rifts on Saved by the Bell to Silence of the Lambs. This theater has also had some notable staff and talent, such as Billy Crystal who was once an usher; Gary Burghoff and Bob Balaban who launched their careers here; and Joan Rivers, Joan Crawford, Gloria Swanson, Myrna Loy and Fifi D’Orsay (among others) who graced the stage. Another thing that put them on the map: the absinthe. All bartenders on staff are extremely knowledgeable, happy to tell the history of this mysterious liquor. 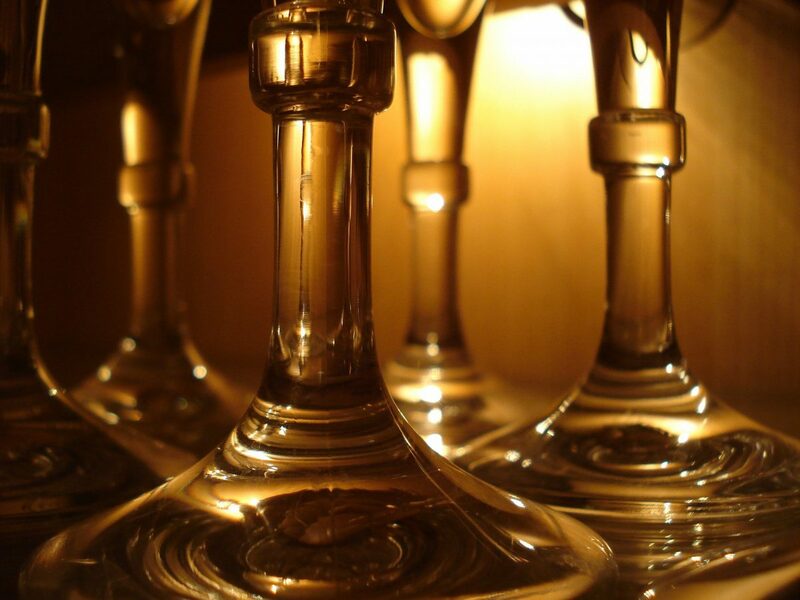 In the late 1700s absinthe was developed as a children’s cough medicine mixed with honey. In the mid 1800s when phylloxera killed off many European vines, people turned from wine to absinthe, which French wine producers didn’t like. A slandering campaign led people to believe if they drank absinthe they’d become poor, violent criminals. Not only did people move away from absinthe, but the liquor has retained an aura of badassery and mystique — to the point where it was banned in the US from 1912 to 2007! Luckily this is not the case anymore, and everywhere from Switzerland to New York is crafting their own absinthe. 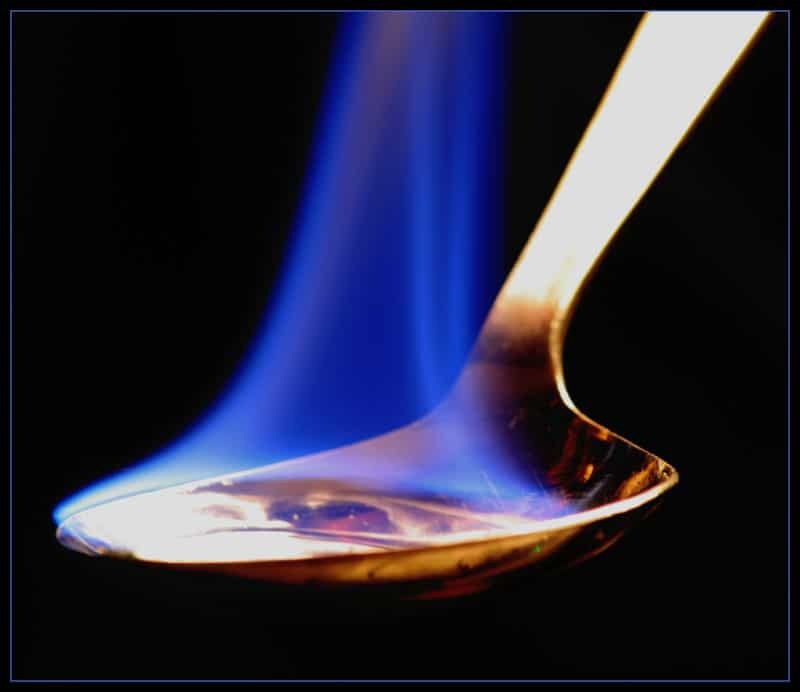 Traditional absinthe involves pouring some of the spirit into a glass and covering it with a traditional absinthe spoon (or any filleted or fork-like utensil) while a flaming sugar cube caramelizes on top. This also makes it more dissolvable which helps with the next step, placing the setup under a decanter of pure ice water. The water trickles in small beads over the sugar and into the absinthe, softening and rounding the end product. Absinthe is meant to be drank as an after-dinner digestif, as are most anise-infused beverages. William Barnacle is also home to the Museum of the American Gangster. After a 15-minute video, visitors don hard hats and visit the once-dynamite-lined tunnels where alcohol was smuggled in from 1920-1933 and the safe where Hoffman kept his $12,000 million. There are also tons of fascinating photos and artifacts (like a Tommy gun, original bullets and death masks). For $15, it’s an interesting trip back in time. The current owner of the bar, Howard’s son Lorcan, also lives onsite, and loves telling guests about the space’s interesting past. 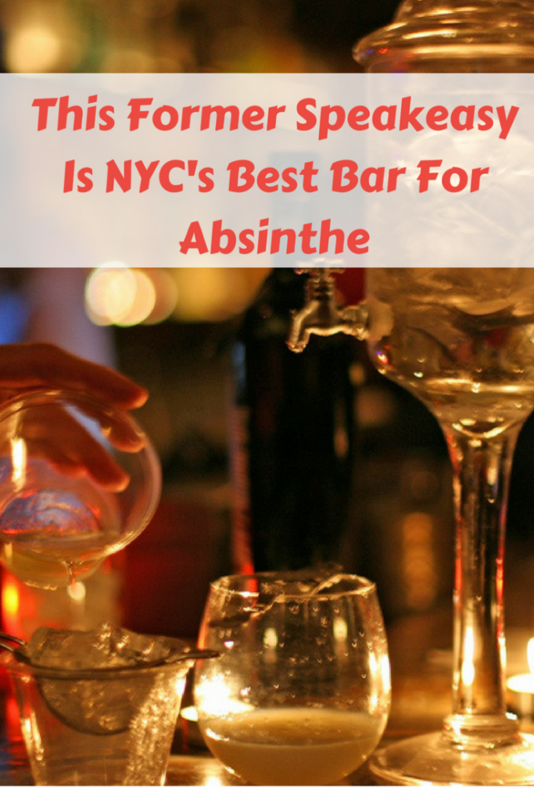 What’s your favorite way to discover absinthe in NYC? Please let us know in the comments below!